Note: SSO configuration requires a paid Koan subscription and to be an organizational admin. Please reach out to us for help configuring your Koan instance appropriately. 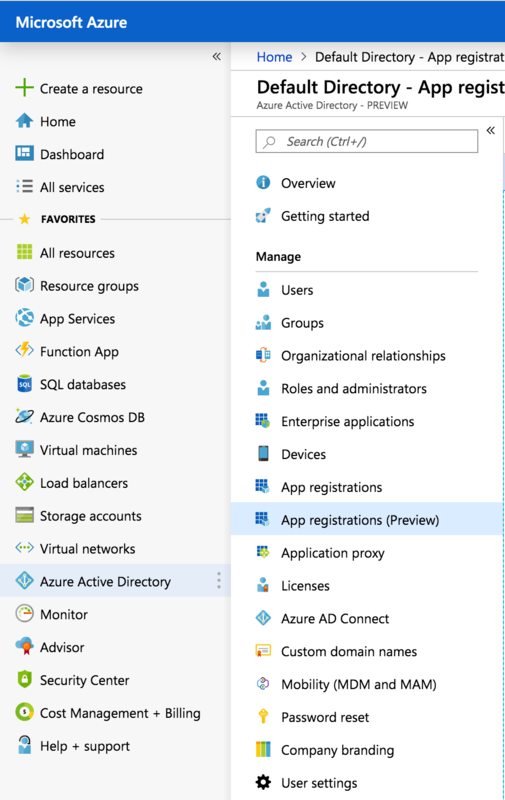 In your Azure administrator panel, click Azure Active Directory in the left sidebar, then click App Registrations (Preview) in the adjacent sidebar. 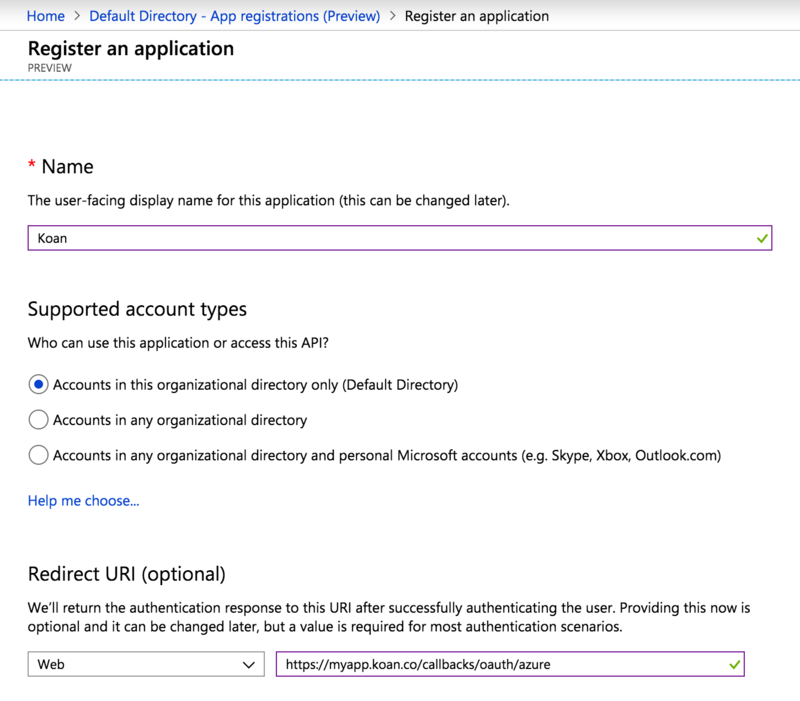 Set the name of the application to Koan, and specify the redirect URI as shown in the screenshot (https://myapp.koan.co/callbacks/oauth/azure ), but with myapp replaced with your company's Koan subdomain. Click Register at the bottom of the screen, and you'll be taken to a page like this. Note the Client ID and Tenant ID shown in the rectangle marked "1" in this screenshot. We'll need both of these when setting up your Azure application inside Koan. Here, click "New client secret", as outlined in the screenshot. Note the secret that it provides you. 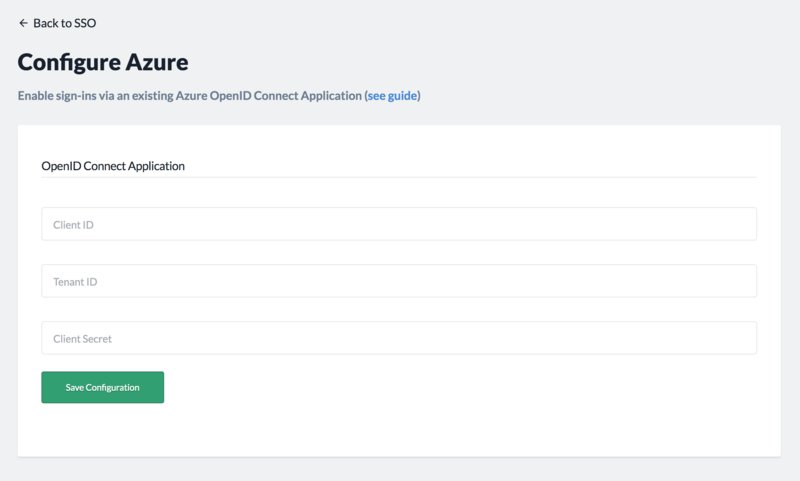 Next, inside Koan, navigate to the SSO section of your company settings and click Connect Azure. 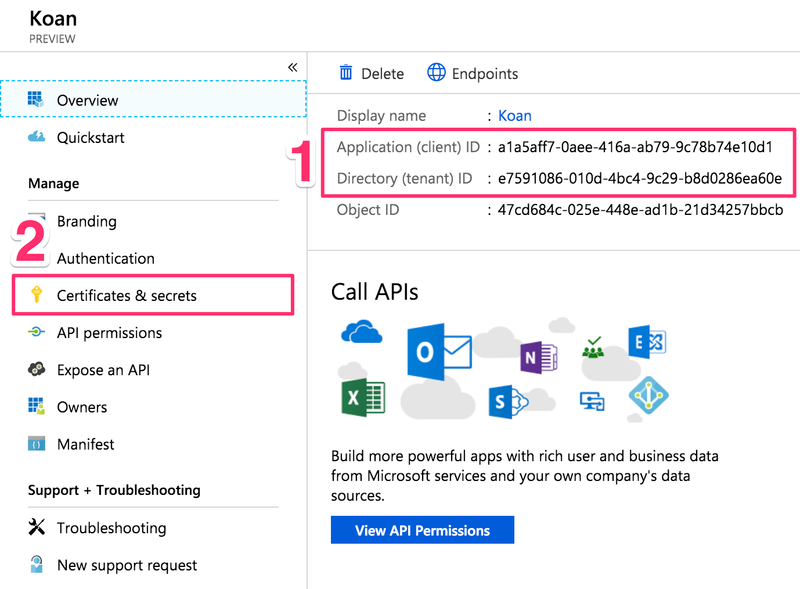 Or, navigate directly to https://myapp.koan.co/org/configure/integrations/azure , with the myapp part replaced with your company's Koan subdomain. Once there, you'll see a form like below. 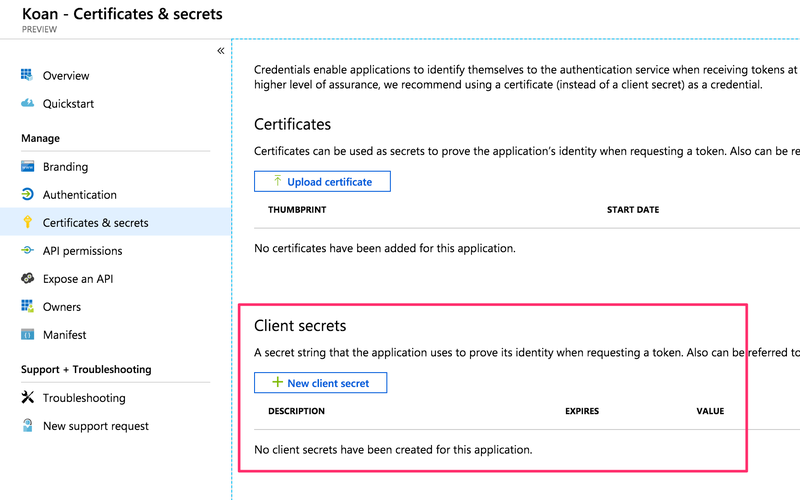 Simply paste in the Client ID, Tenant ID, and Client Secret you got from above, then click Save Configuration.